Annual rental. 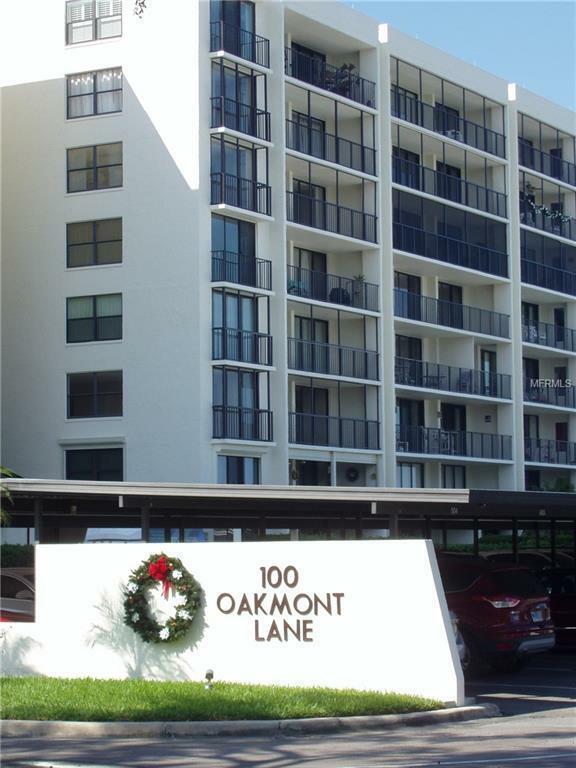 Located in the Bellevue Biltmore gated community, this spacious, freshly painted, unfurnished, split plan 2 bedroom, 2 bath corner condo unit with oversized balcony offers views of Harold's Lake, and its wildlife and Clearwater Bay. Each bedroom walks out to lovely garden and water views. The Kitchen has an ample number of solid wood cabinets, granite countertops and stainless steel appliances. The entryway, hallways and living/dining room feature hardwood floors. There is a new washer/dryer in the unit. The master bedroom has two sizable closets. New window treatments throughout. The entire building was just freshly painted. Enjoy the heated pool and clubhouse with views of Clearwater Bay. There is one covered carport, parking for another vehicle and guest parking, with an a/ced storage unit on the same floor. This unit is within a gated 24 hour manned guard gate community. A short drive to shopping, beaches, restaurants, hospital and Tampa makes this a convenient place to call home. Once home, you can unwind with walks and/or bike rides around this secured community. Credit, criminal and background check required. Association app and interview prior to occupancy, with first, last and security. No pets. Listing provided courtesy of Equity Pro Realty.